Second to only fire, water is the most dangerous and destructive threat against your home. 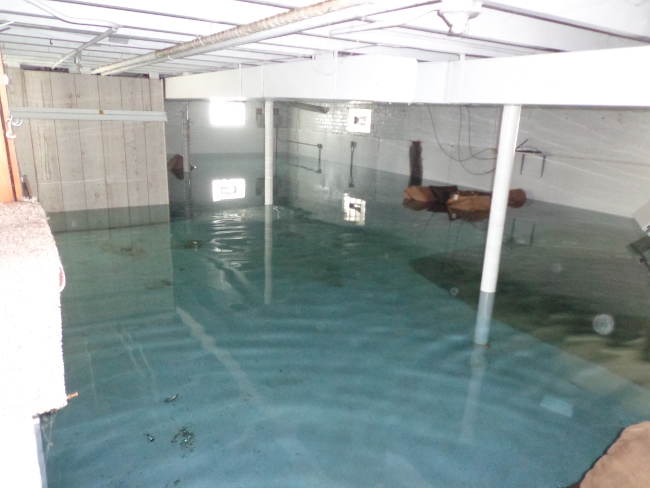 We understand how devastating flood water and leaking pipes can be. If you need an emergency water pump out, give us a call and we will be there within 60 minutes! USA Water & Fire Restoration will not complete a project until all water is removed and your property is completely moisture free. This is the only way to ensure that your water damage will not lead to dangerous mold later on. Facing water damage? Let the professionals at USA Water & Fire Restoration take care of it. We will thoroughly inspect your home or business, expertly examining each area to ensure we find every last drop of water. Prompt removal of all standing water with a water pump out is critical to reduce or eliminate structural damage, as well as to prevent further damage and mold. After we remove any standing water, we dry the exterior and interiors of your home and all its valuables to thoroughly complete your water repair. We also prevent "secondary" moisture that can build up to damage your valuables. 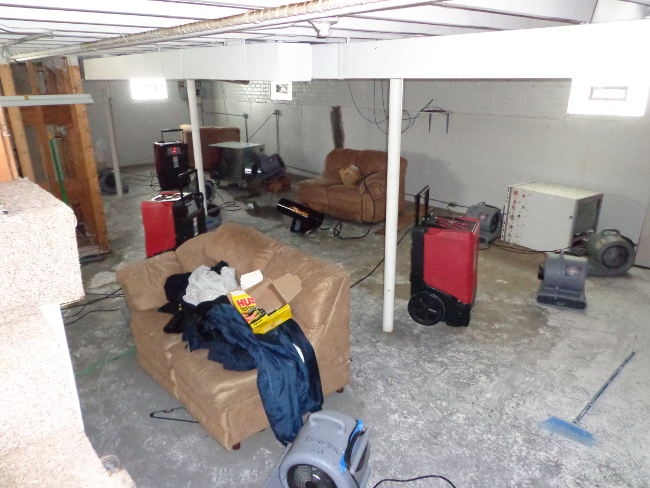 It’s critical to make sure no mold or mildew can grow due to this water damage. 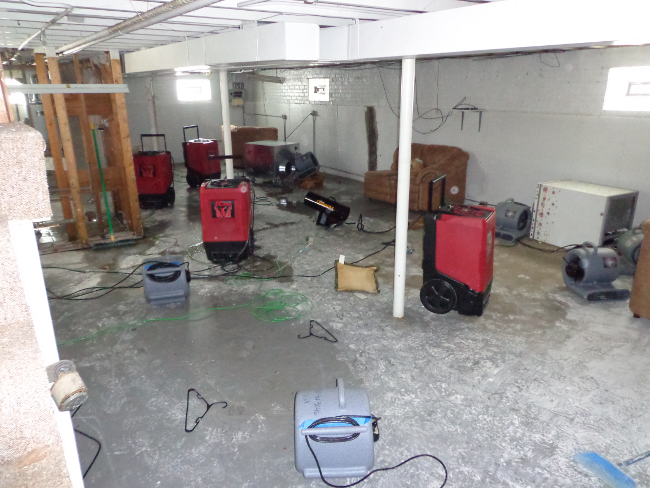 We ensure any water damage repair job large or small is done right by using only top quality industry standard equipment and employing the most highly trained technicians. Water removal and immediate drying is critical to the preservation and safety of your home. Experienced in water repair projects of all sizes, we provide expert water restoration services for single family homes, apartment complexes, multi-family properties and townhomes, as well as retail and commercial properties. From water damaged ceiling repairs to fixing drywall water damage, we got it covered. With over 30 years experience, USA Water & Fire Restoration is the only private water damage repair company with a Lifetime Warranty and boasts a 10% discount to seniors and the uninsured. Jackie's basement had four feet of standing water when we got there. We restored Mike's entire family room from a busted pipe that almost destroyed everything. Good as new now. What should I do right after a flood? 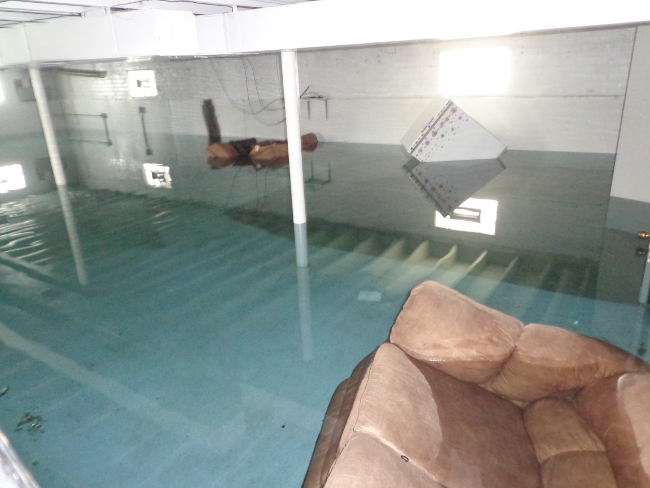 What does it cost to restore my flooded basement? How much does flood damage and water restoration cost? Are you at Risk of a Flood Hazard? How much damage does a flood cost?